Come sail along quietly alongside these majestic mammals. JADA operates whale watching cruises most Saturdays, January through March, unless a private charter has been scheduled. Please check our calendar for availability. Departure time is 12:30 AM and generally we’ll return around 4:30 PM, depending upon how quickly we find the whales. We serve soft drinks and snacks while sailing. We recommend you bring a lunch. The annual migration of gray whales along San Diego’s coast is one of nature’s most incredible spectacles. Not only is the gray whale one of the largest animals on earth, it also has the longest annual migration of any mammal. Each year about 26,000 gray whales undertake a round trip migration of over 10,000 miles from the icy Arctic waters of Alaska to the warm tropical lagoons of Baja California where the females give birth to their calves. Gray whales are relatively slow swimmers and surface every three to five minutes to blow a few times before they dive under again. This usually provides ample opportunity to view the whales. 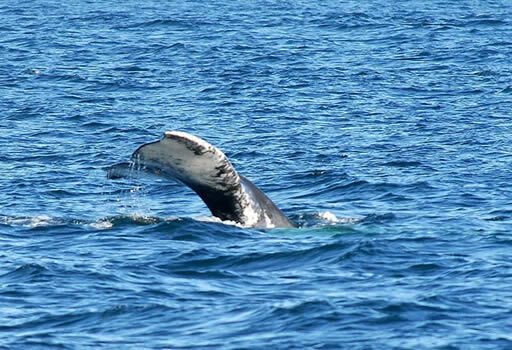 Having knowledge of the diving, breathing, and migration patterns of the whales are key components to a successful whale watching cruise in San Diego. Although it is possible to see gray whales from certain high shoreline vantage points, nothing compares to the experience of viewing gray whales up close from the deck of a sailing yacht. 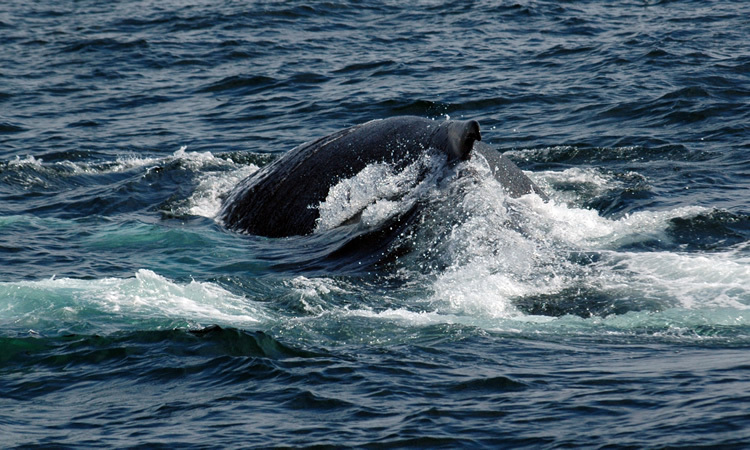 Whale watching is a memorable, fun, and educational activity for everyone of any age. In addition to offering whale watching cruises in San Diego, Sail JADA Charters provides a variety of excursions on our beautiful sailing yacht. Private or public yacht charters could include sunset cruises, weddings on the bay or memorials at sea. Call (858) 222-9479 to learn more today.